One Fun Event – Two Mission Projects! 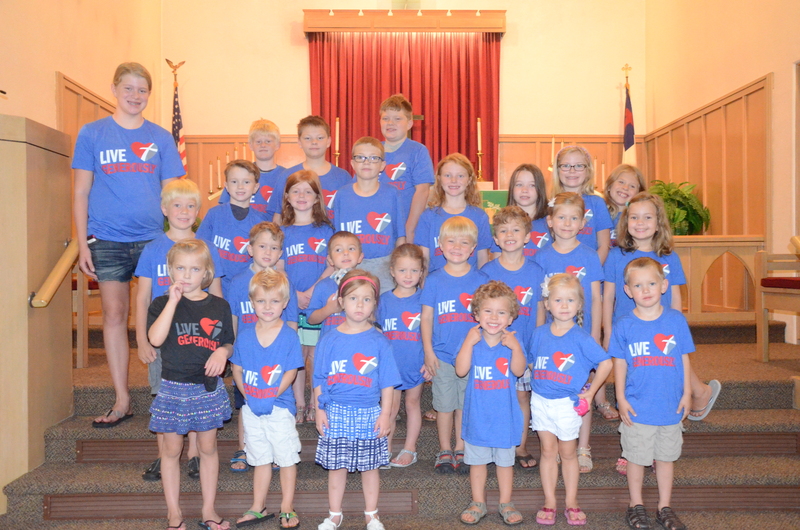 After worship service on Sunday, August 28th, the MLC members enjoyed fellowship, lunch and mission projects. After lunch, participants could bid for homemade ice cream and pies to take home at an auction. Lunch and auction proceeds were all designated to the BackPack Programs at the Johnson-Brock and Johnson County Central Schools. The BackPack Program’s mission is to help alleviate child hunger in Southeast Nebraska by providing hungry children with nutritious and easy to prepare food at times when other resources are not available, such as weekends and school vacations. Over $600 was raised for the Backpack Program during this event! The second mission project of the day was the Lutheran World Relief School Kits assembly. Each dining table served as a different station where the kids would pick up a backpack, and then on to the other seven stations where they and the adults at each station packed into the backpack the notebooks, crayons, scissors, pens, pencils, eraser, and ruler needed for a kit. In a short time, 70 School Kits were packed. They will be shipped through Lutheran World Relief to children in need. Often, in countries across the world children can’t go to school if they don’t have supplies. If their family can’t afford the supplies it may mean no education for their child. 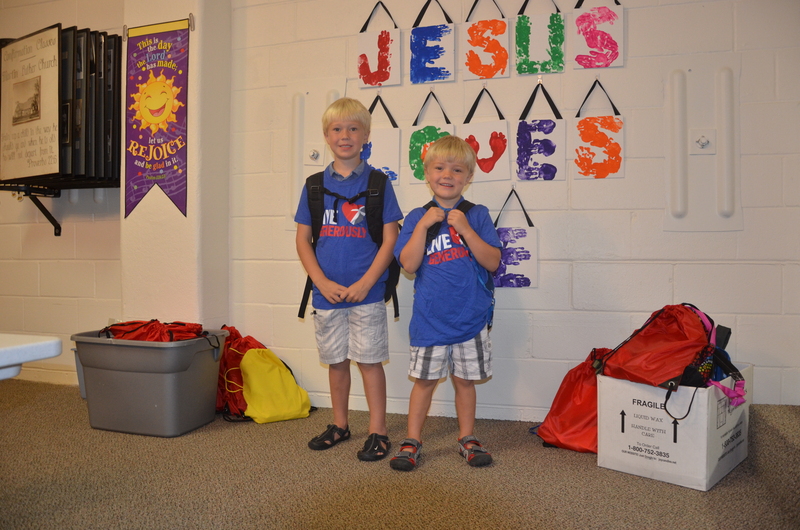 We’re thrilled we could provide 70 backpacks to help kids in other parts of the world! The school supplies were collected for the past month by the members of MLC and a Thrivent grant for seed money was also utilized for this very important project. We had many enthusiastic helpers! In addition to the School Kits for LWR, another 20 backpacks (with slightly different school supplies) will be packed for shipment to kids in need through Orphan Grain Train. Additional school supplies collected during this project are given to Johnson-Brock Schools and Johnson County Central Schools to be used for local children in need. MLC sharing the love through two different mission projects!